The domestic unit on Wednesday recovered by 13 paise to close at 68.83 amid sustained buying by foreign investors in domestic equity markets and lower crude prices. The rupee opened 19 paise higher at 68.64 against the US dollar on Friday. The domestic unit on Wednesday recovered by 13 paise to close at 68.83 amid sustained buying by foreign investors in domestic equity markets and lower crude prices. In its currency themetic report, ICICI Securities noted that the currency will remain strong as most of the headwinds have started to ebb. The domestic debt and equity markets witnessed huge outflows of more than $6 billion (combined) in CY18 on the back of factors like hawkish major central banks (Federal Reserve), elevated global yields, rising crude oil prices (negative for importing EMs like India), worsening CAD, etc. This had led to FII outflows from EM markets. However, now all these factors appear to diminish. "Now, we expect changing macro factors to help revive foreign fund inflows even in domestic debt assets. 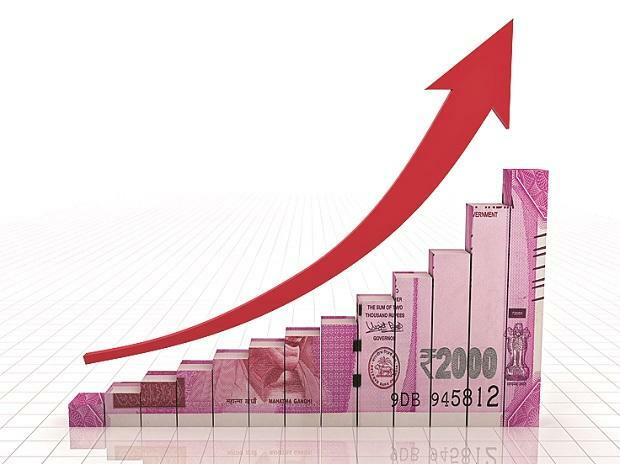 Hence, expected further flows in domestic markets are likely to keep the rupee on a strong note," it said. Analysts at Nirmal Bang Securities says, "The USD/INR pair has marked a long red candle but with higher highs and higher lows. It is currently trading below all its important moving averages. If the pair breaks the 68.75 level, selling can be initiated towards 68.5/.25." On the global front, Asian shares hit 6-1/2-month highs today after upbeat US data and optimism in the tech sector lifted Wall Street stocks, helping calm some of the jitters sparked by the Federal Reserve’s cautious outlook on the world’s biggest economy, Reuters reported. The dollar also jumped back, with its index against a basket of six major currencies rising to 96.327 from Wednesday’s 1-1/2-month low of 95.735. In the commodity market, oil prices hovered close to 2019 peaks amid OPEC supply cuts, said a Reuters report.